The 2014 Whitney Biennial is selected, announced and currently being installed, adhering to a new structure and curatorial format introduced with this curatorial team. In the past the curatorial team for each Biennial has worked as a panel to select works, balancing the cohesion of the exhibition over each represented opinion on the curatorial committee. This year, each of the three curators were able to work alone, advised by the museum's staff curators, and each assigned themselves a floor to represent their choices. The curators, announced in November of 2012, are Stuart Comer, Anthony Elms and Michelle Grabner. Comer and Elms each work as museum curators, with specializations in film and performance, and Elms organizes WhiteWalls, an independent arts publication of writings by artists. Comer comes to the Whitney from the Tate, and Elms from the Institute of Contemporary art in Philadelphia. Michelle Grabner is a more exciting choice of curator, reflecting the importance of artist-run spaces, self-contextualization and one's peer network in the post-recession art world. Michelle Grabner hails from Chicago, where she is a painter, writer and professor of painting at the School of the Art Institute of Chicago. For the past fourteen years, she has been at the helm of the Suburban, an exhibition space on the property of her Oak Park, IL home. Through this project, her academic career, her painting career and the institution in which she teaches, Grabner has worked with hundreds of artists and seems uniquely positioned to select a multi-generational exhibition of American art. 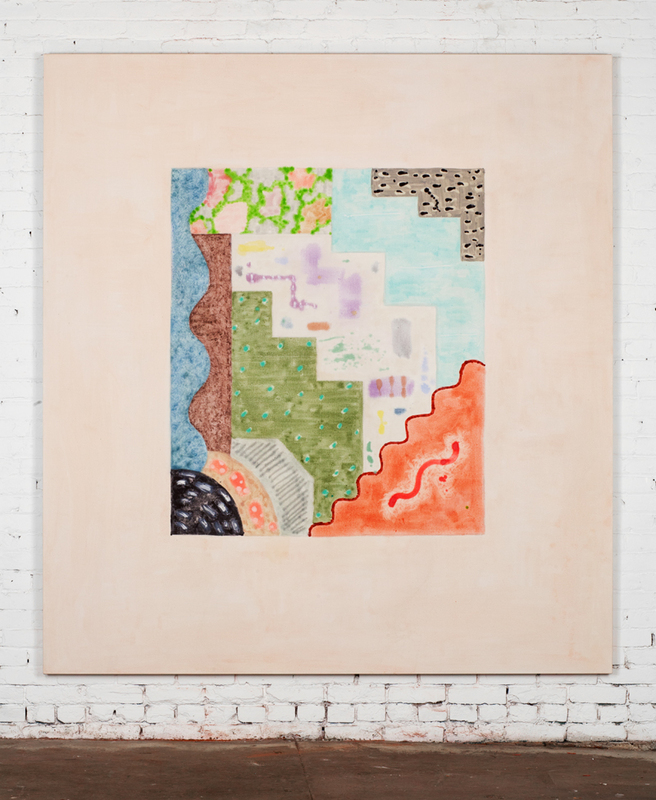 She brings a broad, although admittedly biased, range of interests and influences to the table – this year, viewers largely have her to thank for the unprecidented representation of female abstract painters, including Amy Sillman, Rebecca Morris, Pam Lins, Dona Nelson, Laura Owens and Molly Zuckerman-Hartung. I was able to take her away from her increasingly busy schedule for a couple minutes to talk about Chicago, the Suburban, Curating and the Biennial. AE: How did you first come to curation and running the Suburban? Had you organized exhibitions regularly before starting the gallery? MG:The Suburban opened in 1999 but it is not a curatorial project. We trust the artists to do that work. The Suburban, founded by Michelle Grabner and her husband Brad Killam, is an artist-run exhibition space located in Oak Park, IL. The space consists of the garage and an adjacent 8' x 8' cinderblock shed, cleaned, painted and lit to exhibit work. It has no commercial aspirations, and attempts to facilitate a program that is more reflective of the invited, exhibiting artists' studio practice than with the limitations or level of finish of a traditional gallery. It is run similarly to a museum's front room or project spaces, promoting ambitious projects and collaborations often eschewed by commercial galleries. The Suburban has hosted exhibitions by Luc Tuymans, Scott and Tyson Reeder, Mari Eastman, Matthew Higgs, Dike Blair, B. Wurtz, Katharina Grosse, Wade Guyton, Garth Weiser, Mary Heilmann , Kamrooz Aram and Pam Lins– to name a handful from the many. Pam Lins' work will appear in the 2014 Biennial. MG: I started curating when I was in a graduate Art History program at the University of Wisconsin. For my masters thesis I organized and exhibition titled “Postmodernism; A Spectacle of Reflexivity” in addition to producing a catalog and writing an essay. That was 1987. Postmodernism; A Spectacle of Reflexivity included artists like Sherrie Levine and Richard Prince and have continued to inspire Grabner's current curatorial projects and selections for the Biennial, which include Levine and Gretchen Bender. AE: What was the climate like in Chicago for emerging artists in 1999? MG: It was much devilishly smaller than it is now. There was only one artist project space called Dogmatic in the city then. Before that the Uncomfortable Spaces steered the city visual arts discourse. The Uncomfortable Spaces were basically four commercial galleries located deeper in the city, outside Chicago’s slick River North commercial artist district. The Uncomfortable Spaces (a proud umbrella title for these alternative spaces) were individually made up of MWMWM Gallery, Tough Gallery, Ten in One Gallery, and Beret International Gallery. They hosted programming from the early to mid-90s with coordinated openings and mailing lists. Their exhibitions were organized as happenings, including shows of dried towels, maps made of moldy cheese, cast balloon animals and other decidedly ephemeral projects. Dogmatic was a space that began to exhibit more conventional artist projects and became known for its diverse and professional exhibitions. Many of the artists that exhibited in Dogmatic have since filtered through the mid-level artist-founded spaces in Chicago, including Western Exhibitions and Andrew Rafacz. AE: How has geography influenced your program? MG: Good question. Well I can say that we have an exhibition program, The Suburban, because we live in the Midwest. But the programming itself is not unique to geography. My guess that if the Suburban was in Bushwick or Philly the range of artists would be similar. I would say the same of Baltimore's spaces, except perhaps that Chicago spaces had greater attention in a pre-social media / pre-internet global art world. For the nineties spaces mentioned above, internet and national media documentation exists to enshrine the existence of these artist-run ventures. Baltimore has had a number of spaces, in a similar time period and with similar ethos that fell by the wayside. Many are only remembered in physical photographs and through the Curriculum Vitae of artists that exhibited there. Although each artist-run space cannot help but serve and become reflective of the immediate community they exist in, the influence of that space spreads far beyond their city. In that spirit, there is a need to contextualize one's program and one's community within larger trends, creating opportunities and visibility for otherwise immobile artwork, due to geographic denigration. Baltimore arguably suffers from this much more so than Chicago, but the Suburban took enormous risks. Placing an exhibition space in the suburbs, in a domestic, residential setting is a model that bucks the negative stereotypes of both the suburbs and the suburban home, in addition to the treck from the city to its location. AE: You regularly step in and out roles that seem to be individually demanding, educator, writer, curator, artist. How has curating and working with other artists to realize their exhibitions influenced your own studio practice? Has the balance between artist and curator been difficult for you at any point? MG: Its not difficult but it does have to be “balanced.” And that takes discipline. It is very easy to tip the scales and if curating takes me out of the studio for too long, everything takes a hit. In addition to the Biennial, and her position as professor of Painting at the School of the Art Institute, Grabner undertook no fewer than five solo exhibition in the past year and also contributed work to a handful of group shows.